Tucker Carlson has a new show on FOX. I never seen it but caught part of it on Youtube. What I noticed is that whenever one of his guest are speaking, Carlson put on this face like they’re speaking in a foreign language. His eyes squint, he leans forward and has that look on his face like he can’t make out a singe word their saying. I saw videos of MSNBC when Trump won and they were in tears there. I thought they were crying because Trump won. Now I’m not so sure. I think they might have been crying because they didn’t sway the people to vote the way they wanted. News shows used to report the events. We don’t have news shows anymore. We have propaganda machines where they keep on saying the same thing over and over trying to brainwash the public. People are wising up now. They don’t care what celebrities saying or who they’ve voting for. Cause people now know that celebrities are dumb asses. Just because they make movies, or music, doesn’t make the rocket scientist. I came up with this idea for the illegal aliens that are in the USA that nobody ever mentioned. Maybe there’s a major flaw in it, that’s why it was never brought up. This plan can make everybody happy, or nobody happy but I think it’s fair. First thing you have to do is secure the boarder. Build a wall, or fence or more guards, whatever. The boarder has to be secure or we’ll be in the same mess down the road that we are in now. I’m gonna use simple numbers to make it easy. Let’s say there’s 10 million illegals in the country. No criminals, law-abiding people. Give them a path to citizenship. Then say if the US takes 1 million legal people from Mexico. Stop all legal immigration from Mexico for 10 years to make up for the 10 million illegal immigrants the US are making legal. This whole Colin Kaepernick thing with him kneeling, other black players giving the black power salute is kind of blowing over. Nobody cares anymore what they do. At first it was a shock, but now, who cares. The camera goes on them for a second, the song is over and people are ready for the game. However if you want to get back at them, there’s one easy thing to do. You don”t have to write letters to the NFL, or protest outside the stadium. Just boycott the NFL sponsors and watch the fun start. They lose money, they pull out of the NFL. The NFL has a hard time getting sponsors, all hell breaks out, and the people have spoken. I was reading that a lot of people are mad with Ariana Grande for saying she hated America. That don’t bother me cause I don’t care what she thinks. What bothers me is her licking the doughnuts and putting them back. That’s really gross. People buy those. They don’t want her spit on it. If I was her, I would stay away from restaurants for a long time. Who knows what they’re going to do to her food in the kitchen. Even though I lean to the right (no pun intended) I don’t see what the big deal is about. He sent out some text message pics of his wiener to some girl. So what. It’s his private wiener on his private time. It’s nobody’s business. It’s not like he was robbing a bank. Bill Clinton was getting BJ’s in the “Oral” office, lied before congress and nobody cared. They want to castrate poor Weiner. If he makes a good Mayor, he can send out all the pics he wants for all I care. What NY needs, a tough Mayor that’s hard to beat. Let’s get NY on the up and up. 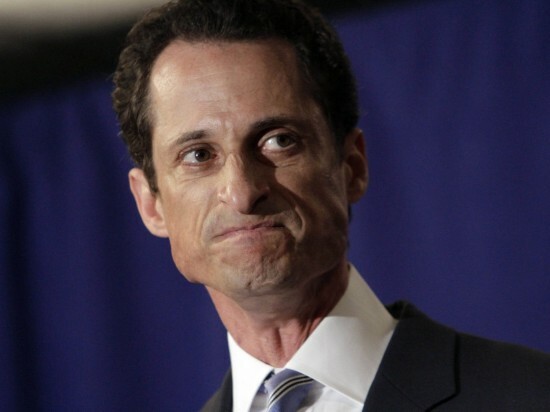 Vote for Anthony Weiner. He won’t let you down. Doesn’t anybody find it funny that aliens would travel millions of miles through space just to come here just to make art in a field? 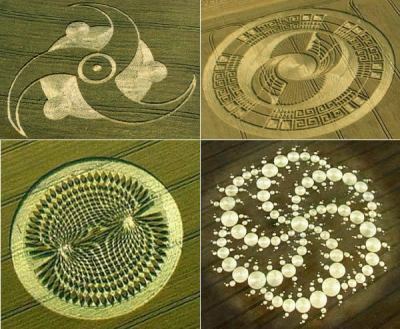 The people that have made these circles admitted it and some people still think it’s aliens.